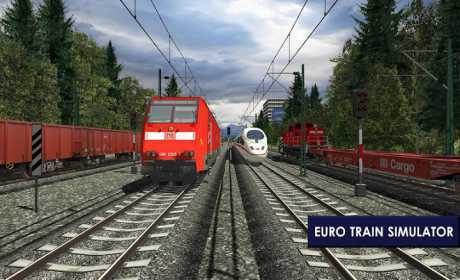 Euro Train Sim 2 is the first in a planned series of high-quality, feature-rich railroad simulation games covering every major destination in the world. Featuring an intuitive, easy to use interface, the game lets users play Career Mode to accomplish varied scenarios and unlock new trains and routes. 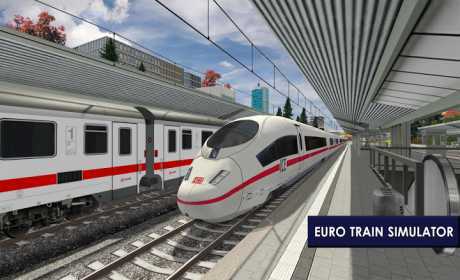 Euro Train Sim 2 is the first mobile train simulator to feature officially-licensed real trains from German train operator Deutsche Bahn. The locomotives have been authentically recreated with maximum attention to detail. Features stations from Germany and France and official DB licensed trains including the world famous ICE3, DB142 and a range of freight trains. Munich, Merring, Augsburg, Grobenzell, Olching, Ulm, Strasbourg, Stuttgart, Karsruhe and Paris. 22 camera angles shows the game from every view imaginable. Passenger seating area with first class, second class, execute cabin. Also view of restaurant, bar and restroom. Throttle, braking, realistic wiper, cab light and headlights, horn and pantograph are available to the driver and are required to be operated for certain objectives in Career Mode. A quick mode that lets you choose the train, route, source and destination stations, weather and the time of the day for the simulation. – The Game already support English, French and German and will add languages like Italian, Spanish, Czech, Portuguese and Indonesian in the future. The Signals system are accurate and keep a large number of AI trains in control without any traffic. ☆ Contacts Permission is required by Google Play Games and is not necessary for playing the game. Feel free to refuse that permission if you do not want Google Play Games leaderboard. 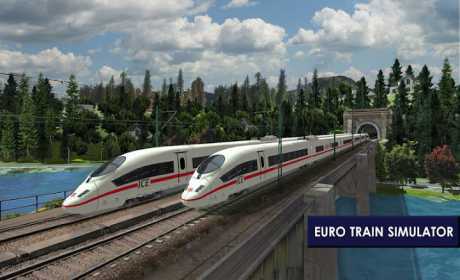 ☆ Hope you enjoy playing Euro Train Simulator 2. Future updates will add more train operators and routes from UK, Belgium, Spain and Italy. More updates are coming soon. So what are you waiting for? Become a Train Driver today and drive all across Europe.